Esira Cagi said that boxing started as an inner call for him to do something in life. “Boxing continually pushes me as an individual because it would be just yourself in the ring. There wouldn’t be anyone beside you to save you,” Cagi said. He fights Epeli Naliva on Satur­day in the cruiserweight division at Prince Charles Park in Nadi. The main bout will be between Ron­ald Naidu and Brent Dames of Aus­tralia for the World Boxing Federa­tion (WBF) vacant title. 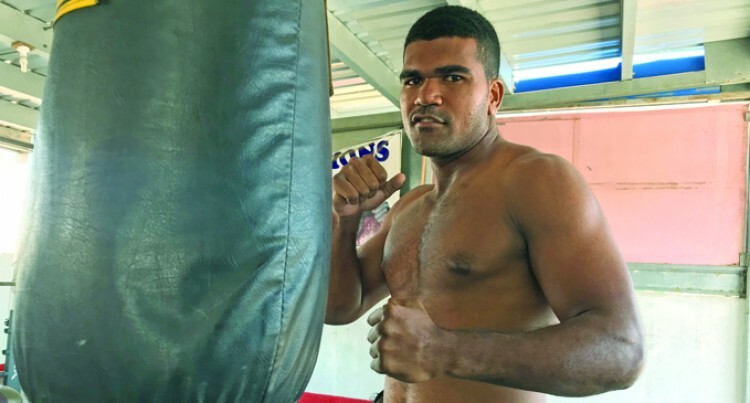 The promising 21-year-old heavy­weight boxer said that everyone had been excited about the sport back at his village in Lautoka. He said his manager had seen his potential and encouraged him to be a professional boxer. He made his professional debut last November and won. “At first I was nervous about it. But when I went inside the ring I felt con­fident,” he said. “Everyone back at home is really supportive of me and that’s what keeps me going.